We are a non-profit community service organization committed to strengthening youth and families through community involvement. 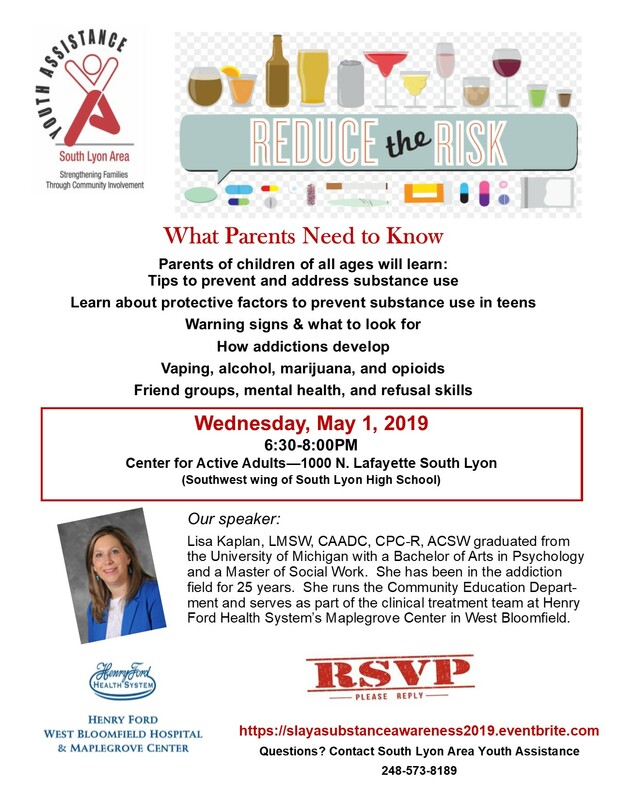 Services are provided by a social work professional at the Youth Assistance office located by the Center for Active Adults at South Lyon High School. The caseworker works with children and families to reduce behavior problems and find effective solutions for the family. Through early intervention, problems that are more serious can be prevented, and family harmony can be restored. Police, schools, parents, and agencies make referrals to Youth Assistance. Reasons for referrals include grief and loss, emotional or behavioral difficulties at home, at school or in the community. The police may divert teens from official court to Youth Assistance for alcohol or other drug involvement, home or school incorrigibility, larceny, retail fraud, or malicious destruction of property. Youth Assistance also works closely with the schools in matters of educational neglect and school truancy. 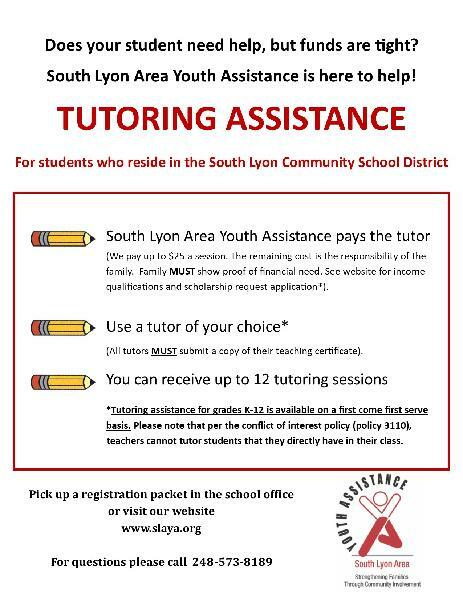 South Lyon Area Youth Assistance offers many programs for children in the area from tutoring assistance scholarships to an overnight camping experience. There is an opportunity for families to participate in Shop with a Hero and Ready for School Shopping through our community partners.